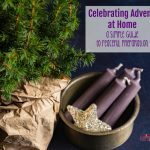 Advent is a penitential season, despite the hustle and bustle of secular celebrations. 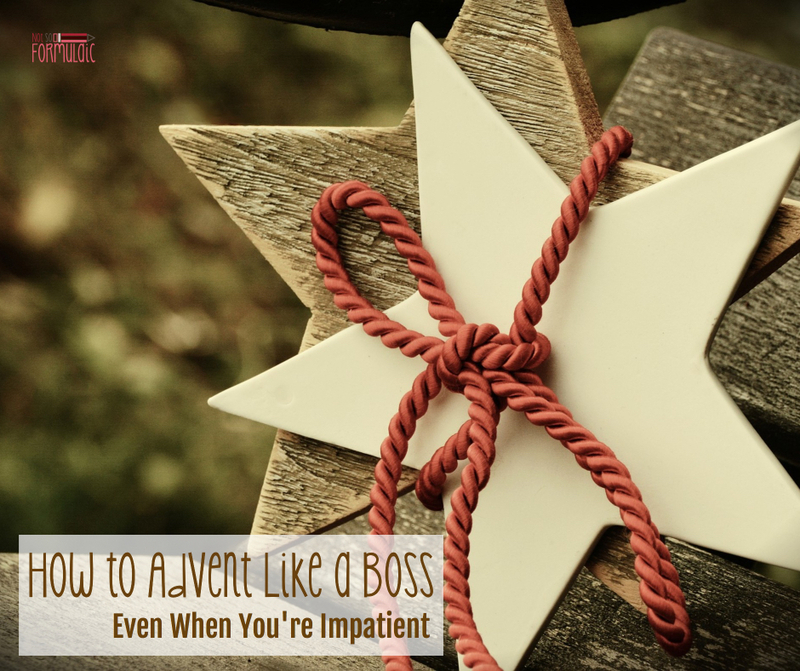 Here’s how to celebrate Advent like a boss, even when you are impatient. This post contains affiliate links. I receive a small commission on purchases made via some links in this post. Please see my disclosure policy for details. If you’ve never read anything by Mo Willems, you should. We own several of his Elephant and Piggie books, in which Willems chronicles the friendship of two unlikely best friends: an elephant (Gerald) and a pig (Piggie). Over the years, we’ve watched this dynamic duo plan for a drive, fight their afternoon naps, learn how to share, and even discover they live in a book. he says, while impatient Gerald continues to sweat. Halloween has come and gone, Thanksgiving is not yet upon us, and yet the stores have had Santa and his reindeer waiting in the wings since August. Why in the world is there such a rush? The answer is a sweet one, honestly, and it rests in the heart of goodness and truth. The human soul craves the beauty and joy of the Christ child’s promise. It longs for a peace and unity that tiny baby brings. As our secular society watches the days grow shorter and our nights get longer, it instinctively looks toward Christmas, the compass which will point our way. The Christmas season brings a joy which can set out hearts on fire – but only if the kindling is primed from the start. Advent is a penitential season. 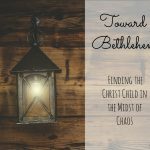 My pastor has often referred to it is a mini-Lent, a time of prayer, sacrifice, and almsgiving in preparation for the birth of the Christ child. 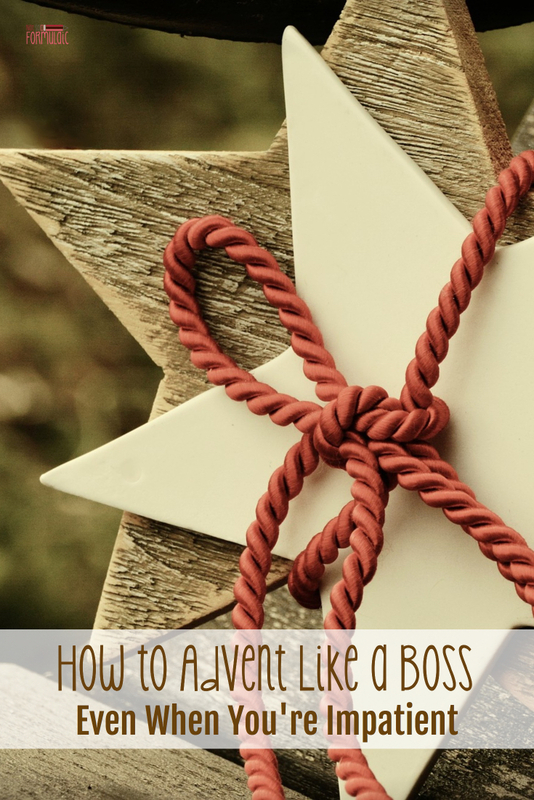 How do we keep the spirit of the Advent season when the world ties us up in baubles and bows? Turn off social media. Keep the Christmas music off. 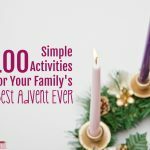 Avoid the Hallmark channel and its seasonal movies. 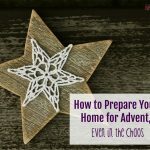 The less holiday stimulus you take in, the easier it will be to focus on the prayerful, sacrificial nature of Advent. It’s okay to turn down social obligations. Say no to something – wether it be one more party, another cookie exchange, or some other Christmas celebration. 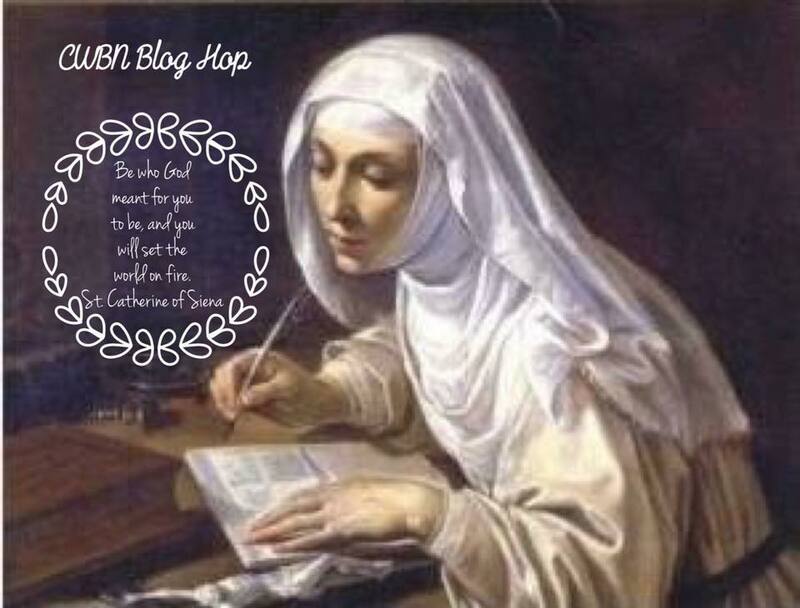 Replace that spot on your calendar with Adoration, daily mass, or confession instead. Volunteer at a soup kitchen. Let go of the hustle and bustle, and embrace the quiet instead. One small sacrificial act can make a world of difference. Skip the cream in your coffee or donate the cost of a cup to the poor. 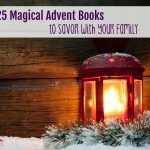 Bring the family on board with a daily Advent calendar: replace the chocolates with a daily work of mercy. If you just can’t wait to put up the tree, hold off on the ornaments. Decorate with pink and purple ribbons instead, removing one ribbon each day and replacing it with a Christmas ornament. Your tree won’t be fully decorated until Christmas Eve, and you’ll keep a reminder of the penitential season front and center. I know that waiting is not easy. But it’s vital to sharing in the mystery and wonder of Christ’s birth. As we head into this holy season, keep your focus on the tiny baby in the manger. Meditate on the Holy Family’s preparation for Christ’s birth. Dedicate your free time to study and prayer. It will absolutely be worth it. This post is part of the CWBN Blog Hop for December: Keeping Advent, Advent. Yesterday, my son asked me if we could have a Halloween party (he doesn’t like Halloween being over). 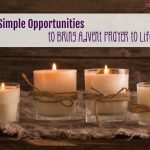 When I asked him who would come to the party, he listed off a couple friends (whom we don’t live near anymore), and rounded his list off with, “…and God. God is going to come, too! We need to have a party for God!” It made me think of the Pauline Sisters’ “Baby Jesus parties,” and is now making me think of having a party in Advent, where those invited would have to bring gifts to donate to a charitable organization – whether it be a food bank, Catholic Charities, a no-kill shelter, or a pregnancy support center! Something in your post sparked that reminder to discuss the idea with my husband! Mo Willems does have it right– waiting is so hard!